Modern design can be difficult to define, but is something that a lot of people desire. The basics of contemporary interiors include a "less is more" approach when considering a space and what to put in it. Is modern design just white walls and minimal furniture? Not at all. 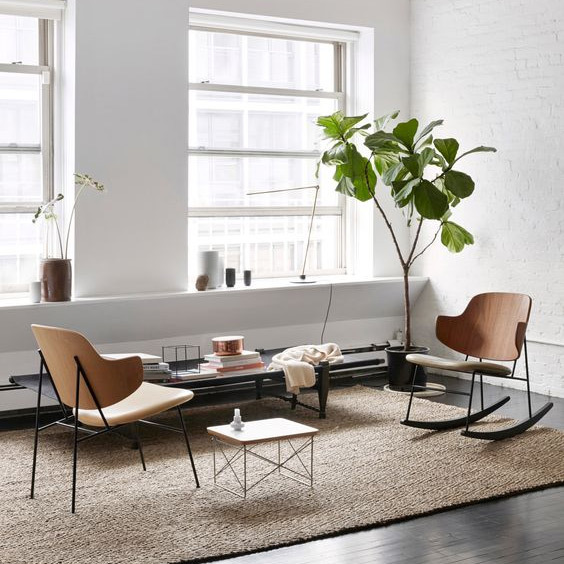 Many people might consider modern interiors cold and unwelcoming, but today's contemporary homes are comfortable and warm without being cluttered and dark. The same goes for contemporary sofas; you might be a fan of clean lines and elegant proportions, but that doesn’t mean you have to sacrifice comfort; something you don’t have to do when you choose a British-made sofa from The Lounge Co.
What makes a modern sofa? It’s the design details that make all the difference, from foam-filled cushions which meticulously maintain shape to striking twin-needling, we’re proud of our handcrafted attention to detail; all made with love in the UK. At The Lounge Co. we’ve got a stylish range of sofas which have been designed with contemporary living in mind. Take Mallory, for example, she’s been carefully designed with modern living in mind. With sleek, clean lines and pure proportions, Mallory is the epitome of contemporary style. If you’re blessed with a large living room then you might want to consider a modern corner sofa; the geometry of Mallory makes her a perfect candidate. If you’re after something a bit curvier, but still crave contemporary design, we’d recommend Lottie. Not only does Lottie boast clean, contemporary lines with low level seating, she comes in modular units which means you can create a sofa configuration to suit you and your lounge. Choose from corner, centre and end units to make your own sofa, and don’t forget to add a footstool - the ultimate piece of modern, versatile furniture. Lottie is shown here in a Family Friendly fabric; a great idea to keep your sofa and lounge looking clean and pristine. Find out more about the Aquaclean Technology that’s used here. Have you considered leather? At The Lounge Co., you’ll find a range of contemporary smooth leathers that will give your sofa a clean, modern look. Our Smooth Leathers are semi-aniline and ‘corrected grain’ which means that the surface is lightly buffed to remove minor imperfections. A pigmented finish is applied which makes the leather more durable and easier to clean than full-aniline leather. Leather is a naturally hard-wearing material, and is surprisingly easy to care for, meaning a leather sofa will both look good and last for decades. Discover more about our leathers here, or be inspired with our leather sofa picks. Any other tips for a modern lounge? Stick to a palette of black, white and neutrals for maximum effect. If you’re craving a bit of colour, add it in the form of bold cushions or throws. Take a look at our cushion collection here. Our favourite loft apartments are blessed with high ceilings and huge windows that let in an abundance of natural light. If your lounge is on the slightly smaller side, you can create the illusion of more light by choosing blinds instead of curtains, painting your walls white and placing a large mirror on the wall; making the room seem bigger and brighter. The use of metal, stone, marble and glass works well in a contemporary home. Choose stylish yet simple furniture and accessories which use these materials and soften with a touch of sheepskin or wool. Craving more modern sofa inspiration? 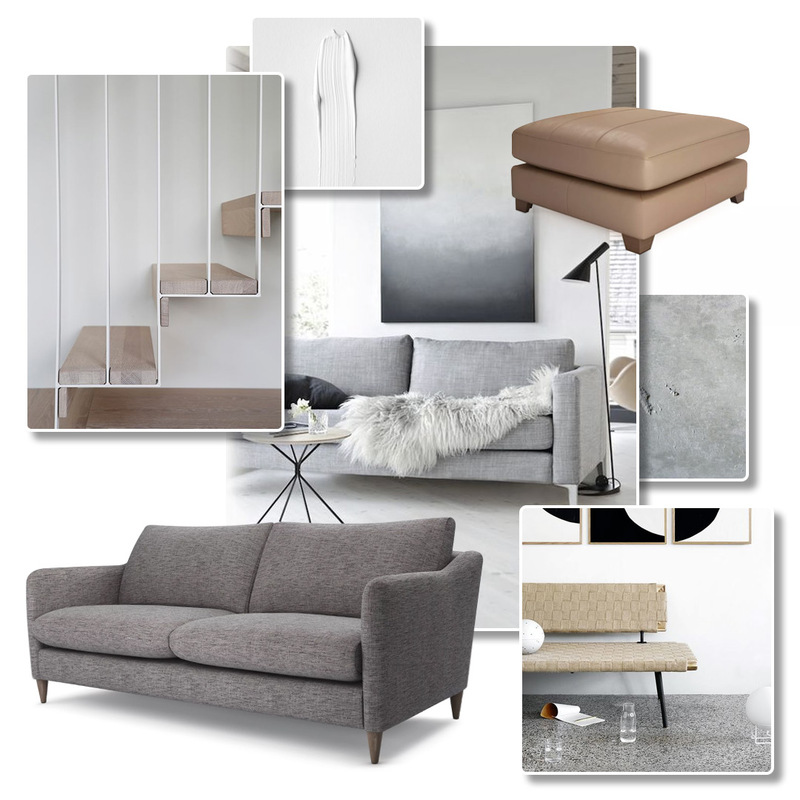 Explore our ‘Minimalism’ pinboard, or see our ‘Modern Sofas’ picks here.